When we have a themed birthday party at our house, I like to set the tone of the party right at the front door. For my son’s Cars party, I colored a billboard-style Welcome to Radiator Springs poster. 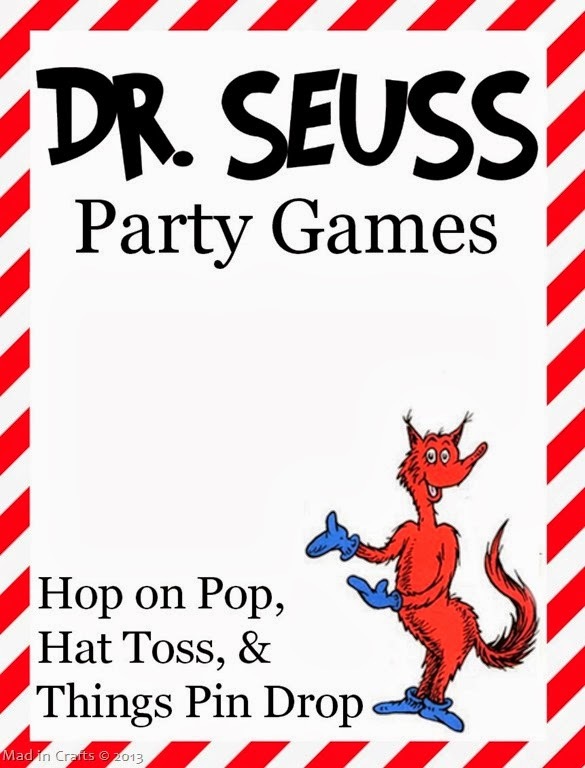 His baseball party featured a ticket-booth sign. I made a simple Mickey Mouse wreath for my daughter’s party last year. 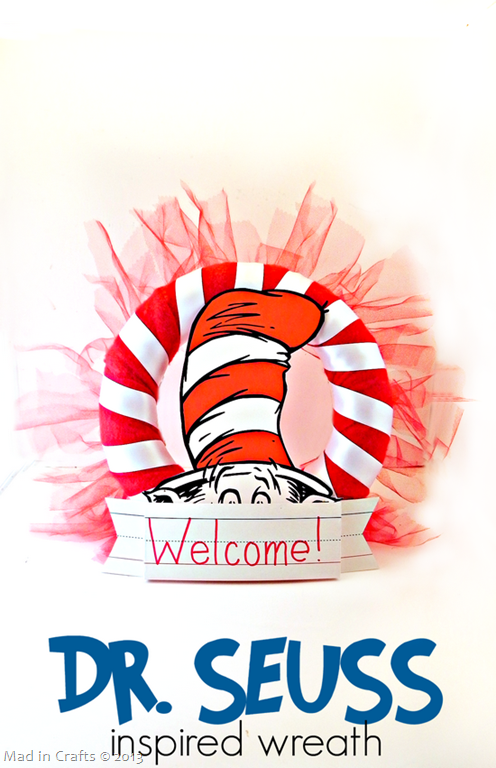 This year I used that same foam wreath form to make a Dr. Seuss party wreath to welcome the guests to her Dr. Seuss party. I covered an old foam wreath form with red fleece from my stash and attached it with straight pins. 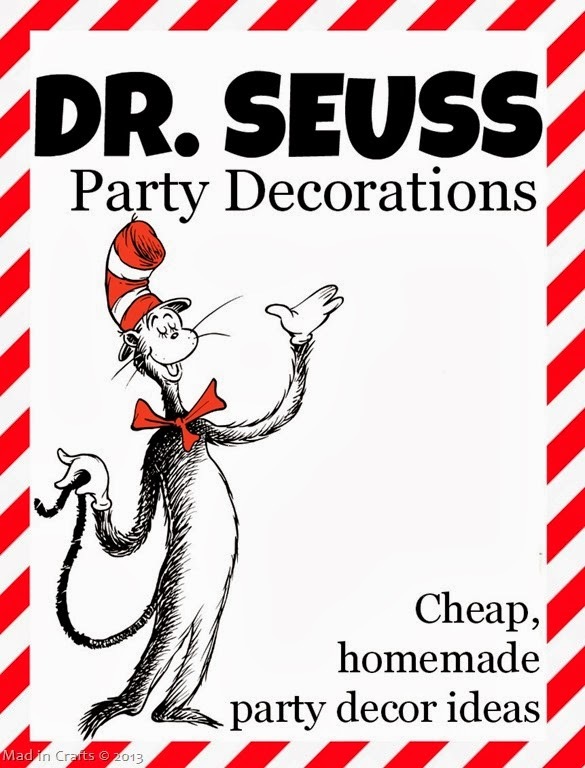 Next, I wrapped the wreath with white ribbon to make stripes like the Cat’s hat, leaving a length at the end to use to hang the wreath. I had some red tulle leftover from my daughter’s Mickey Mouse tutu, I pinned lengths of tulle to the back of the wreath with more straight pins. 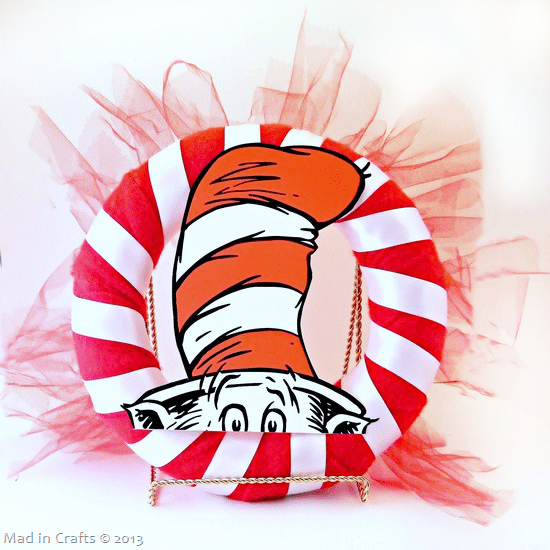 I cut the Cat out of the Cat in the Hat party hats I found in the Target dollar bin and pinned it to the center of the wreath. 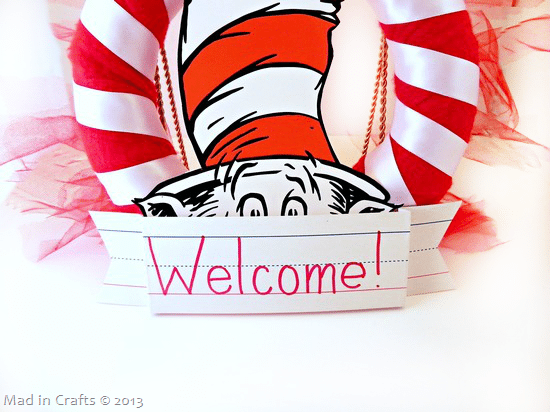 Finally, I used a desk name tag from Dollar Tree to make a welcome banner. 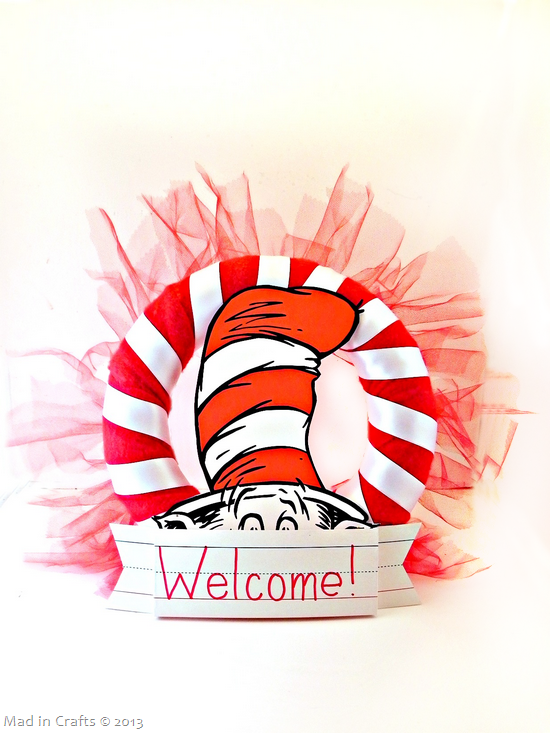 I wrote “Welcome!” on the tag in my best teacher handwriting, then folded and cut the edges to look more banner-like. The banner was also pinned to the form. Because I used straight pins, everything on the wreath form is secure but easily removed. 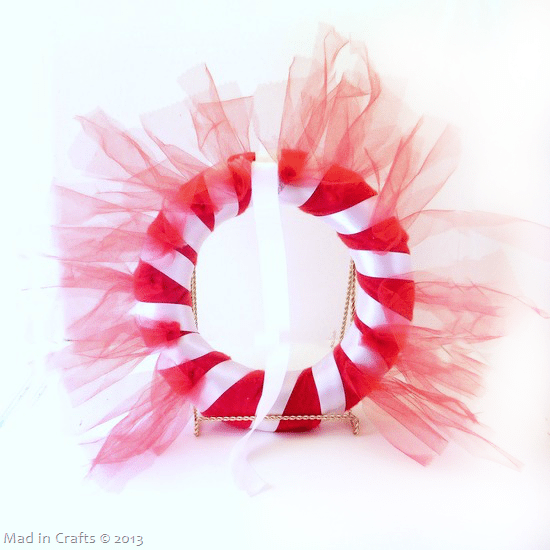 I have used this same foam wreath form so many times because I can always remove embellishments and add new ones.